Subject: Furnace Replacement – Josh, The two installers that performed the furnace replacement in my home were extremely efficient, courteous and professional, my hats tipped to both. Please extend my pat on the back to both, they are a valuable asset to the Adams company. Thanks. Brian, Sam and Gus are such professionals, and very expert at what they do. We could not be happier with the way they performed their jobs here! They installed a new heating unit and all new ducting. They took the time to do the job right, they didn’t miss anything, and went out of their way to correct any and all problems they found with our old system. I would not hesitate to recommend Adams Heating and Cooling, as the best company to do the job right and affordably. I had high expectations, and you exceeded them! You were all exceptionally brilliant! Efficient, professional, knowledgeable, honest, friendly, and clean. You answered all my questions and concerns patiently, accurately, and tactfully. I had a lot. Your workers, Sam and Gus, work so quickly and well together. Their friendly humor made it easy. They left everything so clean! I wouldn’t hestitate to recommend you to everyone, and already have. An old Petaluma family business that has continued to excel! Thank you for professional, courteous and prompt installation of our new furnace. Your technicians and the follow-up care were excellent! We highly recommend you! Best regards! I called this morning to get my dead heater repaired. Josh called me back, and was able to fit me in before a call in Windsor. He was very quick and explained what he would do and why. He replaced the igniter, and my wife and I are now much happier (and warmer). 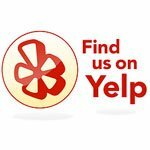 I had heard good comments in the past about your company, and can now add to them. Thanks! Our furnace control board failed on Sunday night and we were without heat, on what was one of the colder nights in a long time. Not good. Monday morning I called your number, and was hoping for the best, but quite frankly a bit skeptical that I would have heat anytime soon, knowing how busy your company must be during this long cold spell. I was so pleasantly surprised at not only how fast I received a callback, but also that a service tech was on my way in two hours. That Tech was Josh. He arrived when scheduled, was friendly, fast, knowledgeable, and more than accommodating in explaining not only what he was doing, but explaining why and how the system failed. I cannot say strongly enough what a pleasure it was to have him come to our home in time of need. The repair required a new board, which had to be ordered. Josh got us up and running with a “temporary” fix which got our heat back on until he was able to return with the new part the next day. He just left after getting the new parts installed in record time, and then making sure the system was up and operating correctly. As I said, I just wanted to offer thanks for the tremendous service, and make sure you know what a truly great employee can do for your business and its reputation. Josh is a standout, and I wanted to make sure that you are aware and recognize what a strong asset he is to your firm. Please express my gratitude and thanks to him for me. I can assure you that I will be referring all my friends and neighbors to Brian Adams Heating and Cooling. We got estimates from about four different heating and cooling companies. Adams came back as the most comprehensive and cost effective estimate. Brian thoroughly answered all of our questions and explained all of my options from repairing to replacing our furnace. We have had a number of unexpected home repairs recently and he was very understanding of the situation and walked us through a few scenarios that could work, never trying to upsell me. He even did some research on an asbestos removal company for us to use. The crew that did the work was great as well. They were on time, they did great work and they cleaned up afterward. Adams also filled out the paperwork and explained all we need to do for the PG&E rebate. All in all, we had a great experience with Adams. They came in with the best estimate, lowest cost and did great work! I was very fortunate in selecting Adams Heating and Cooling to install my new Trane A/C unit. Brian was very good about answering all my questions. and the job was scheduled and completed as promised. As for the crew doing the installing you could not ask for more. they were on time, worked well together and were considerate of my home. They cleaned up the area beautifully – what more could you ask for? I am very pleased. I am very pleased with the wonderful job Adams Heating and Cooling did with the installation of my new A/C unit. I received professional service in a timely manner, with acrew of men who were hard working. I will reccommend this company to all my family and friends. Our early 80’s era furnace finally died, and we wanted a local company with a good reputation to fix it. Brian Adams returned our call immediately and came right over. He could fix it for $400, but we knew we needed a new furnace. He put no pressure on us to buy one. As promised, by end of week his crew arrived at 8:30. Gus and Sam are a great team: Good humored, and highly skilled. They had to prepare a new, level foundation for the furnace, and this requires sheet-metal craftsmanship. They worked extremely hard to get everything just right but were done by 5:00 without a break. I have great respect for this kind of workmanship. They also went through all the ducts and vents to make sure we passed our pressure test – whuch we did. I highly recommend Brian and his crew – a furnace is a major investment that must be installed correctly. We love our new Trane! Brian called promptly to set up a furnace review on Saturday 2/12/2011. Josh confirmed that our 29-year-old furnace needed to be replaced and knew exactly what system we needed. Tuesday, Sam and Gus arrived right on time and quickly and cleanly replaced the old heater with the new one, and checked and sealed nine floor vents and connecting runs so that the system passed the State-required “seal” certification. Today Sam is replacing our old, noisy intake grate with a quiet new design. All employees are courteous, timely,claen up all areas properly and are a delight to work with! So glad we called Adams! Never thought I’d be so happy to hear my noisy heater come on! Thanks for rescuing me from turning into an ice cube – Great service! We are so happy with our new heater. We have heat for the first time in the family room. The guys were absolutely fantastic, not only a pleasure to deal with but obviously very knowledgeable and conscientious. We really appreciate all their hard work and patience in dealing with the small crawl space under the house – never an easy task, as you yourself know. Anyway, just thought I’d pass along a very big thank you to everyone. Have a great holiday and thanks again! The installation was fast and efficient. We are especially pleased that the furnace options were so well-explained. Our new Trane is so quiet we never know when it is on. We are completely satisfied with the results and the professionalism of the process. Adams Heating and Cooling gets an A+ grade for their professionalism. Always on time when they said they would be here. They made sure I was happy with thier work before they left. Checked everything, and also did not leave a mess. This is a great company to do business with. Your service is excellent and I might add that since I had my Trane furnace and air conditioner installed, my PG&E bill has gone down almost 50%! Your firm has always been courteous and polite. I have a 60+ year old house that never had a central heating system. I was amazed that Brian Adams was able to design a central air and heating system that could be installed in such limited attic space and provide balanced heat and cooling throughout the house. The system looks like it was part of the original construction. In addition, his workers were wonderful to work with, and demonstrated excellent carpentry skills. All in all – a great company! You were great. The furnace works better than ever. Had previous furnace for 25 years. My wife and I can’t believe all the heat in all the rooms! The crew worked well, cleaned up, and were extremely professional and easy to work with. I’d recommend Adams Heating and Cooling to anyone! I very much liked my experience with Adams Heating and Cooling. They were informative, professional, and friendly. Adams Heating and Cooling was wonderful. The crew was prompt, polite, professional, considerate, and they cleaned up their mess. They were knowledgeable and helpful. They were fast with getting the heater unit (other companies had said two weeks.) Adams had it done in two DAYS. 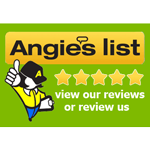 I would recommend them to others with no question, and I would know they would get quality service and equipment. You turned our emergency of having no heat in the winter into your own emergency, by your quick response to meet our schedule. We were very impressed by Brian’s courteous, professional manner. He answered all of my many questions, and by doing so, made it easy to decide on the right heater for our home. We are very happy to have a more comfortable home too. Thank you! Excellent service, very efficient, called when a few minutes late to let me know. Returned calls in a timely manner. I like my furnace and it works well. I would recommend you to anyone! You guys delivered per contract. The work was professional, the crew was courteous and knowledgeable and answered all of our questions. Finally, the price was right! Thank you, and have great New Year in 2009. Adams Heating and Cooling has been providing superior professional work on all of our HVAC repair and replacement needs since 1998. Originally called when other companies declined the challenge of working in one of our buildings dating to the 1860’s. Adams HVAC completed that work and all other requests promptly and satisfactorily ever since. Thank you, Brian, for your outstanding service in identifying the problem with our 29 year old heating system and installing a new system that heats our home comfortably and efficiently. We so appreciate your promptness, broad based knowledge of your business field, professional attitude, and high work ethics. Even when your work day extended beyond a full day’s work and into the evening you maintained a courteous, positive outlook. And it was fun that we could laugh together during the two days that you spent at our home. Trusting you came easy. Thank you for your follow-up phone call to check that all was working well in the new heating system. And thank you for your fine detailed work and polite service. We had no idea that having a new heating system installed in our home by Adams Heating and Cooling could be so pleasurable. Very efficient and polite. The new furnace was ordered and installed within a few days. When I called they came on the same day to check to see what I needed. Brian was very polite and did an excellent job. I’d recommend Adams Heating and Cooling to all my friends as they were recommended to me. Thanks Brian! Professional, on time, answered all questions. Helped fulfill the PG&E rebate application questions. A good local company! Out of the four companies that I interviewed, I knew I would like to support a local company. It worked out well. We are very staisfied with their service. When we call they try very hard to come out that same day. They also stand behind their work and make sure that everything is working right. They also answer any questions you have about their work and are always very patient answering. Adams HVAC did an excellent job of replacing my heater unit. The unit recommended has worked very well. They were prompt and expert in their work. They are very knowledgeable – clearly they know everything about heating and cooling.They are pleasant to work with and helpful in suggestions for improving our home comfort. They are easy to talk to and teach us as they do their job. True professionalism in the heating and cooling business. A very professional job. Brian returned calls, delivered as planned and completed the job with in the day. He had good workers helping him who were courteous and considerate. He left the area around the new furnace clean and it has worked very well since. Our old furnace had been installed by Adams about 20 years ago. We called them when we had trouble just before Christmas. They recommended a new furnace due to the age of the old one. All the options were explained. With a week the furnace and all the old ducting were replaced with very little disruption. The crew was friendly, courteous and very professional even though they had to crawl through an attic full of insulation, cobwebs and dust. They left everything undamaged and clean. The new furnace is great. Thanks for a job well done!